Things haven’t been well lately for nascent three-wheeler startup Elio Motors: It needs $376 million to start production and a Louisiana lawmaker wants to launch an investigation into the deal for a shuttered General Motors Plant in the City of Shreveport where Elio set up shop. Now, commissioners in the Louisiana parish that backed the land deal want to hear directly from the Elio boss about “what he’s doing” and what might happen at the plant. According to KTBS3, an ABC affiliate in Louisiana, the Caddo Parish development board issued a strongly-worded statement to Stuart Lichter, an Elio majority shareholder, lease holder of the former GM building and the man at the center of the controversial Elio deal. 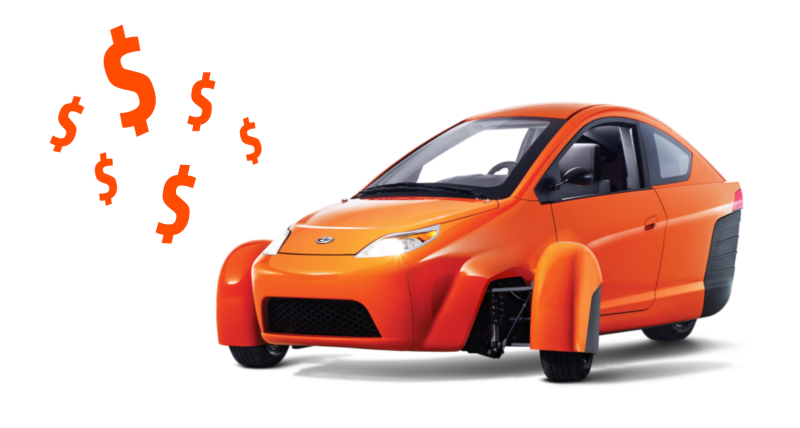 As Jalopnik reported earlier this week, Elio filed its latest report with the Securities and Exchange Commission and revealed it needs $376 million to launch production, up from its previous estimated funding requirement of $312 million. The company only has about $120,000 in the bank and its net loss in 2016 climbed to $52.7 million, up from $22.59 million a year prior, according to the filing. Still, Elio’s founder told Jalopnik that fundraising efforts are ongoing and the goal remains to launch production in 2018. The company has 28 employees currently on payroll, but had to furlough a “significant portion of the engineering, manufacturing, and sales and marketing workforce,” according to the filing, and is focusing its efforts on raising capital by issuing debt and equity offerings. But in the meantime, Lichter is potentially going to be on the hot seat. According to the SEC filing, Elio has until July 1 of this year to create 1,500 jobs in Caddo Parish, or it’ll face a $7.5 million penalty. The filing indicates the company’s already put that $7.5 million liability on the books, as of December 31. Lichter and company touted three years ago, how Elio would bring those jobs to Shreveport. It’s now 2017, and Elio has failed to produce jobs and its energy-efficient 3-wheeled vehicles. Lichter, who is based out of California, owns Shreveport business park, which leases the former GM plant from Caddo Parish’s Industrial Development Board. Lichter has since subleased the facility to Elio Motors and Hyundai Glovis. The board is expected to question Lichter about the status of sub-lease payments that Lichter is supposed to pay the Parish 15% of, and the status of Elio Motors after reporting it had furloughed it’s employees and does not anticipate making a profit until 2018. KTBS reports that the Caddo Parish board hasn’t determined when Lichter will need to show up in Shreveport.